The biggest bust of the summer movie season has arrived. Not since a “Nightmare on Elm Street” has a movie put so much fear into kids going to sleep. 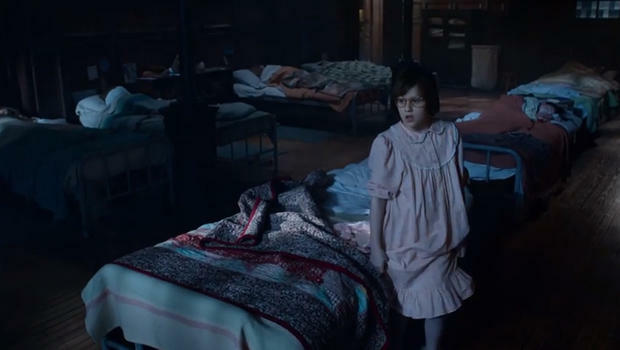 The creepiness that is “The BFG” could surpass those scares. 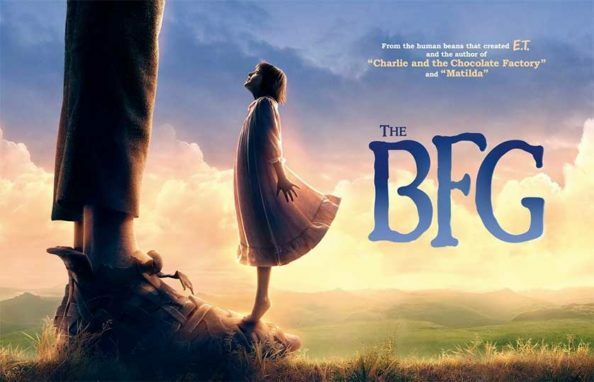 Now, it might very well be a box office success, that’s yet to be determined, but what I am sure about is that “The BFG” is a bad movie. The title alone makes it appear like they tried being fun and hip with a acronym slang instead just saying BIG FRIENDLY GIANT, but maybe that wasn’t the acronym they wanted you to think of. While the fancy looking trailers might fool you into thinking this is a movie you should see based on the animation, reality is that it’s not worth the price of admission. On the surface the plot is pretty basic. An orphan girl named Sophie (Ruby Barnhill) is stolen-abducted-kidnapped by an old giant man in the middle of night. Sounds pretty terrifying. Initially the giant is teased as a child eating monstrosity. Creepy. Soon after abducting the girl the giant turns out not to be a child eating monster. Phew. The girl is so thrilled that he doesn’t eat her that she names him the “Big Friendly Giant”. How sweet. Even though he’s still keeping her hostage! Enough creepiness for now, onto the good and bad. I can’t deny the visual allure that this film has. It looks wonderful. The animation is top-notch. The balancing of the human characters (Sophie) and the CGI ones (BFG) is as seamless as you could imagine. 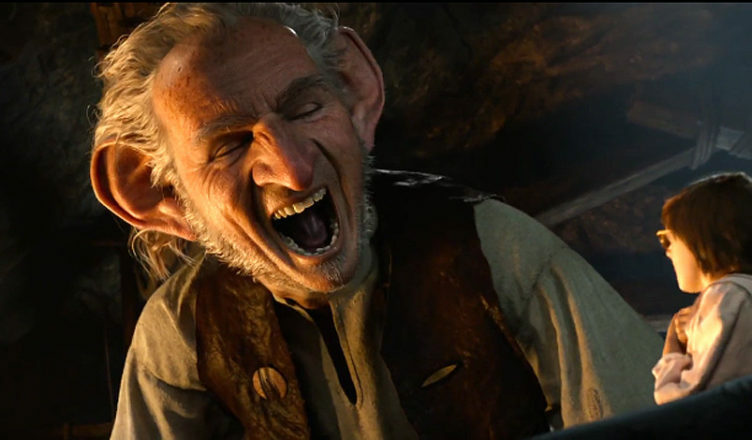 Oscar winner Mark Rylance is behind all that is BFG. The facial textures and expressions are as lifelike as you can have in animation. The scale of BFG’s world versus the real one is presented in a fitting way. It’s as if the girl had transformed into an ant. The movements of the CGI characters is also stellar. At no point does any of the animation look choppy or disenchanted. That’s where the praise of the movie ends. The plot is fairly senseless and to make matters worse it has a very creepy vibe. By creepy I don’t mean scary, more like uncomfortable and dirty. For goodness sake he helps the girl shower! Then afterwards hands her a box will girl clothes? WTF (and I don’t mean Whiskey Tango Foxtrot). There is no way the movie can hide it without coming off perverse. 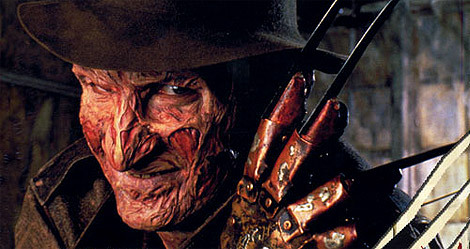 Freddy Kruger might have invaded children’s dreams, but even he wasn’t this creepy. BFG tries to create dreams, but instead he produces nightmares. Why are there so many “Nightmare On Elm Street” parallels with this movie? Additionally, there is a distinct resemblance that BFG has to Freddy. No offense Robert Englund. The plot is just not very coherent. He abducts the kid and keeps her around. That’s half the movie right there. Then the only hinderance seems to come from these dumb kid eating giants, who don’t serve much purpose. They are supposed to make BFG look like such a jolly old fella nice guy, yet I couldn’t get out of my mind what a creep he appears to be. 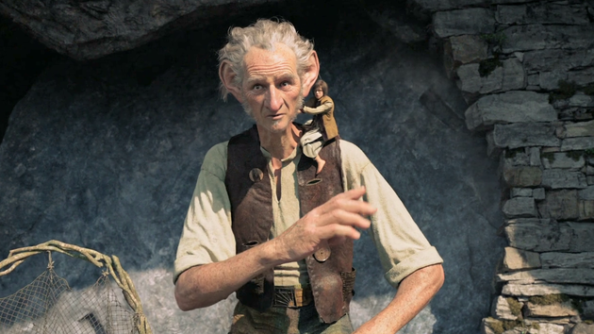 The BFG character isn’t the most pleasant looking, but that isn’t nearly as bothersome as his mumbling talking. I get that he’s British, but I couldn’t understand hell the gibberish he was saying. He’s a pretty spry old man, leaping through mountains and terrains, you’d think they would be a bit more true and tone down on his physicality given the age they are trying to make him out to be. The girl, Sophie, might be one of the more unlikable orphans in movie history. She’s smug, mouthy, bratty and just overall very annoying. Not to mention the insistent number of times she says “Bee F GEEE” with this posh British accent is tiring. They tried to portray her as a curious girl, she comes off as anything but that. Tough to be invested in a movie where the two main characters are unlikeable and don’t make you want to invest in them. They also manage to waste away the talents of one of my favorite actresses Rebecca Hall. Nicely done. In the second half of the movie there is a mindless scene where BFG meets the Queen of England. It’s also when the ambiguous year/time frame the movie takes place in is finally disclosed. The scene is one very long and overdone bad gag reel of BFG being fed. The entire premise was to highlight how much he can eat compared to humans, the parallels of his sheer size and the amount of fun he consumes as opposed to a regular human. It’s just bad and unfunny. “The BFG” is an uncommonly bad Disney movie that completely misses the mark. Not sure what in the hell Steven Spielberg was thinking, but this film isn’t endearing in any way. Disney usually attempts to present a story with a deeper underlying meaning or life lesson. The only underlying message out of this is that BFG might be a child predator. Surely not what Disney was aiming for. This can’t possibly be a fun watch for kids and especially parents. It’s bland, emotionally unaware and offensive. BFG is as messy as Disney can get. A mess that can only be described as a Big F‘n Garbage. “Bob and the Trees”: A Match Most Misguided. I think whoever wrote this review should find a new career. He totally missed the points in the movie that made this movie so special. It’s sad but it shows what kind of person he is by the way he describes this movie. The giant is in no way creepy for god sake, he is warm and funny and he clearly cares for the little girl. He teaches her to follow her dreams and that dreams are real. In return she gives him courage to face the other giants. The movie is very well done with positive communication between the two stars. I am a 48 year old woman and can say I really enjoyed this movie and appreciate the work that went into it.